Modern manufacturing systems often use hi-tech lubricating emulsions which are susceptible to bacterial degradation. It is also important to remember that process waters can introduce contamination at almost any stage in a manufacturing operation. Biocides can be used to keep down the levels of bacteria activity, but are expensive, so it makes economic sense to know when to use them. 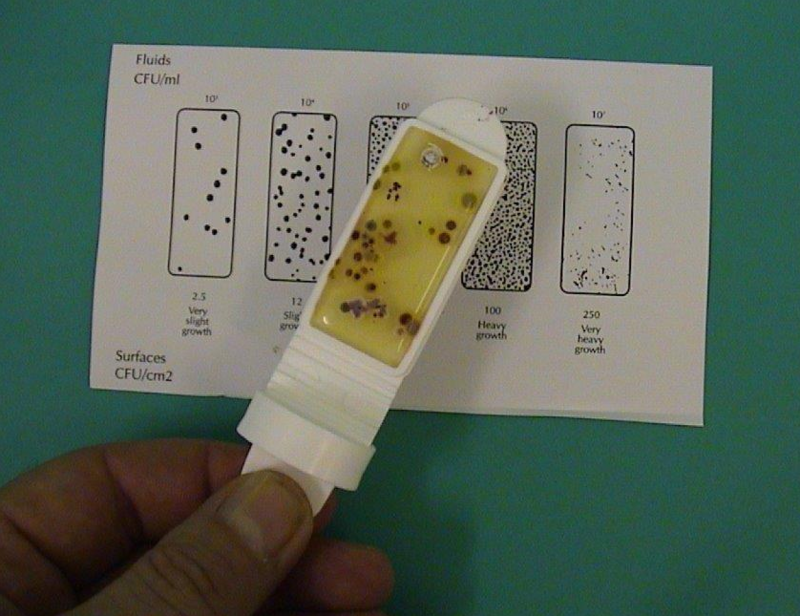 Calibration of the diagnostic slide is inherent in the design and eliminates the need for decimal dilutions. 1. Remove the dip slide from its tube and immerse in the fluid for about 10 seconds. 2. Remove from fluid and allow to drain for a few seconds. Replace slide in the tube and incubate for 24-48 hour. 3. At the end of the period of incubation, read the results against the chart. BIODIP slides and TILLUTACT slides are available in a comprehensive range of formulations for the detection of common groups of bacteria. Dimanco diagnostic slides are made in a sterile environment with purpose-built machinery. 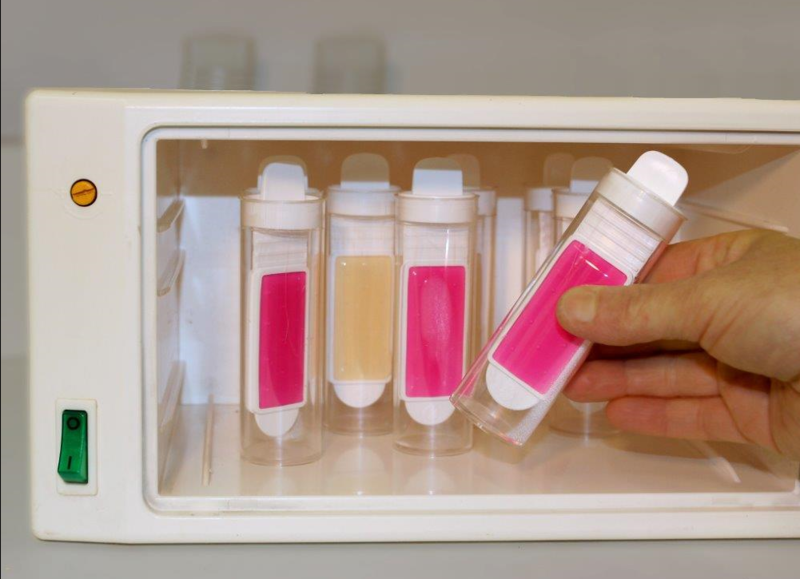 Rigid quality control measures ensure a uniform agar-fill giving flat, even surface for a reliable result every time. All slides are inspected individually before being released for sale.